On 9/11, I’ll mourn the nearly 3,000 lives lost, over 6,000 injuries, the infrastructural carnage and devastation in NYC, and the humiliation of my country, all perpetrated ignorantly in the name of my religion. On 9/12, I’ll mourn the nearly 1,000,000 lives, the 10s of millions of injuries, the infrastructural decimation in 3 countries, and the humiliation of my religion, all perpetrated ignorantly in the name of my country. That really expresses something visceral. How as a Muslim I am caught in the politics of identity negotiations. It would be simplistic to draw the conclusions that Muslims present a loyalty separate from their American identity. Thats not what this statement represents, this statement represents the humanity that is espoused by Islam and the human emotions that create conflict and crises within the human psyche. Leading up to 9/11’s 10 year memorial (not an anniversary) I knew a few feelings that were strong- 1. I have nothing to apologize for, yet I found the Muslim community going out of its way to overcompensate a message of repudiation of the barbaric attacks; 2. There was a tense feeling of what “might happen” 3. The country was so focused on the events of that day, but there was no reflection of the 10 years since that day and the costs in so many aspects to us since then. What was glaringly obvious from all the commentary that I had a chance to read or hear was the significant absence of the lack of value placed in the humanity of others. I guess I myself presented a reflection that was selfish, and thats why #3 seems to be justifiable response because 9/11 happened to us, and rightly so those who lost their family members have every right to claim 9/11 for what they wish it to be. But I find it hard to imagine how folks who don’t have any right to the 9/11 pain- directly, and not as a consequence of being an American- can talk from a frame that diminishes, or worse neglects to acknowledge the death, destruction, pain and suffering following 9/11. The millions that died had very little to do with what happened to America on 9/11. It seems like their burden is just as great as ours as Americans, right? What was interesting is to hear 9/11 family members having to tell of their loss, and then have the other individual talk about the “hardship of 9/11” for them when they were in New York, “oh, they shut down the subways so I couldn’t get home and had to walk for blocks”- really, you’re talking about walking for miles to a person who lost their family member? If you don’t understand me, then its not your fault. Its partly how I am wired, the way I was raised. 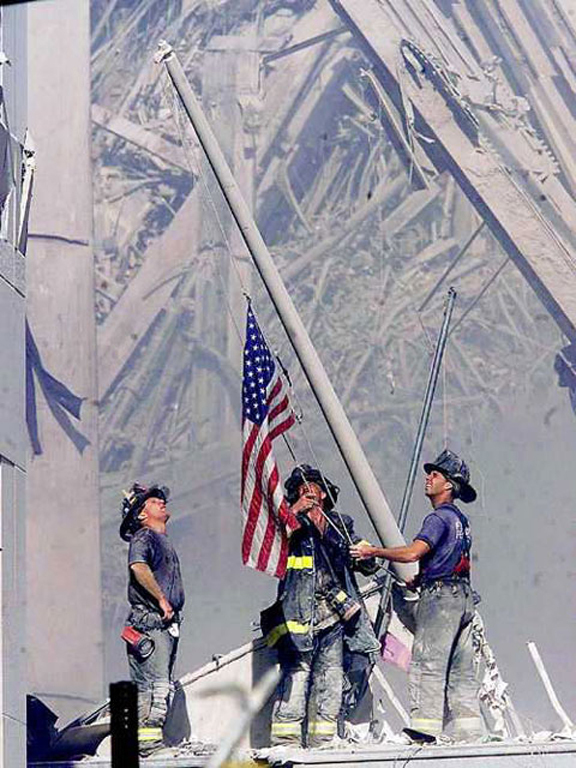 When I hear a Rabbi recite the last messages of folks in the WTC buildings and the planes to their loved ones- I cry. When I hear parents talk about what their child meant to them and the significance of their loss, I cry. When I hear a child talk about how he did’t want his dad to just be another “faceless casualty“, I am significantly affected by that pain. I empathize very easily with this and I think it’s me having a really emotional constitution. But I feel that way when I hear that America’s drone strikes in Pakistan have killed 168 children, a report that was shelved in the back of the bus a month ago. I feel that way when listening to the relatives of Balbir Singh Sodhi, a Sikh man murdered by a Arizonan “patriot” after 9/11. When I listen to kids who are now amputees and blind and left scarred by our wars- I feel for them as well. I love America, but my love doesn’t diminish my desire to care for other humans, the environment or the betterment of life. I don’t think there is any reason that this is exclusive or that my “American-ness” is dented or lessened by it, right, that what America enshrined, to be an example for the world to help those who are oppressed, who are rising against tyranny, choosing (hopefully what works for us here! ).